Alicia leads a real estate team from her beautiful modern office in downtown Boise. We built our Bauhaus theme from the ground up for Ralston Group Properties, and we love how it looks with the vibrant colors of her branding. Thanks for trusting us with your website and mobile apps, Alicia! 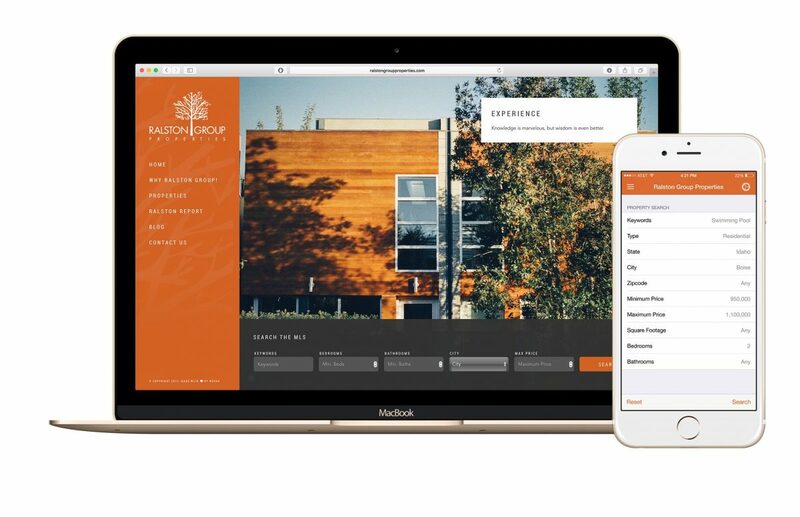 If you’d like Wovax to design your custom branded real estate website and mobile apps, check out our Pro package. Please also feel free to contact us with any questions or to schedule a demo. We’re happy to help!